The public can’t judge if courts are fair if the public is locked out. The parties generally don’t care if the proceedings are hidden (indeed, they may want them hidden). This means that, at times, groups like EFF and press organizations have had to stand up for public access. Unfortunately, while the First Amendment protects the right of access, courts sometimes fail to protect this right. In patent litigation, we’ve seen routine over-sealing by busy district courts. EFF has twice moved to unseal records in patent cases in the Eastern District of Texas, and both times the court unsealed material that should have been public. Now EFF is taking action to push for transparency in two critical venues for hearing patent disputes. We’re protesting against the Federal Circuit’s practice of delaying the public from reading filed briefs, and the Patent Trial and Appeal Board’s use of secret docket entries. Today, EFF sent a letter [PDF] to the Federal Circuit, the federal court of appeal that hears appeals in patent cases, asking it to end its practice of preventing public access to briefs pending review by the Clerk’s Office. The court’s current practice is to docket briefs as “tendered” when they are first filed and to disable public access until the briefs are accepted by the Clerk’s Office. This sometimes leads to briefs being withheld from the public for more than a week. While this may not seem like a big deal, the public’s right of access to courts includes a right to timely access. The delays at the Federal Circuit mean that briefs sometimes don’t become available until after supporting amicus briefs are due. Amici are encouraged not to duplicate party briefs, but that’s a challenge if they can’t read the party briefs in time. The Federal Circuit’s practice is particularly puzzling because the court has otherwise been a strong supporter of transparency. Lawyers accustomed to routine over-sealing in district courts generally find that Federal Circuit judges will only allow material to be sealed with good reason. The appeals court’s rules require parties to file a separate motion if they want to seal more than 15 words in a motion or a brief. That’s a good practice that protects the public’s interest in transparency—one that district courts would do well to emulate. We hope that the Federal Circuit abandons its practice of keeping briefs from the public during review by its Clerk’s Office. To our knowledge, no other federal court of appeals has a similar policy. It is unnecessary and violates the public’s right of timely access. 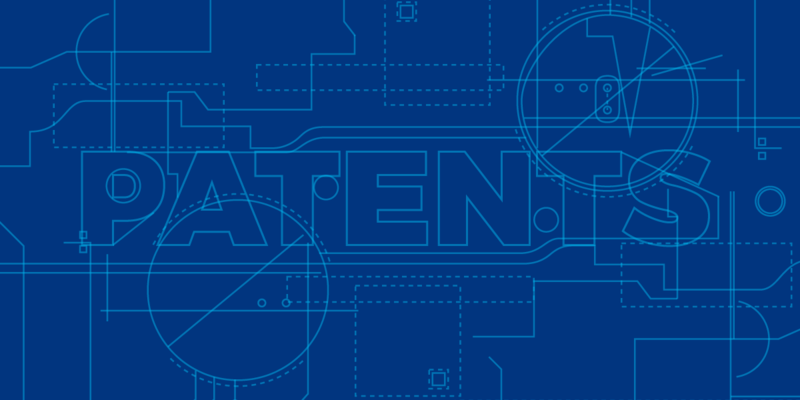 The Patent Trial and Appeal Board (PTAB) overseas a variety of important procedures within the Patent Office, including inter partes review (IPR) and administrative appeals. The IPR proceedings, in particular, are now one of the most important methods for challenging bad patents. Recently, we filed an amicus brief at the PTAB in a case considering whether a patent owner can avoid review by claiming sovereign immunity. As part of our work in that case, we discovered that when documents are filed under seal at the PTAB there is no public docket entry. So, not only does the public not get to see the sealed document, it doesn’t even know that one has been filed. We sent a FOIA request to the Patent Office that, in effect, asked for all non-public docket entries in post-grant proceedings at the PTAB. We did not request the filings themselves but only the docket entries. After some back-and-forth, the Patent Office produced a list [PDF] of 16,773 docket entries (we thank the FOIA Officer who helped with this process). In other words, there have thousands of filings before the PTAB that the public had no record of. For some of these filings, a redacted version was filed and is publicly available. But we also found many entries that had no corresponding public version. For these documents, there’s simply no public record that they ever existed—even the fact of their being filed was kept secret. This prevents the public from monitoring the proceedings and makes it almost impossible to notice and challenge improper sealing. A review of the secret docket entries revealed many filings that should never have been under seal or, at a minimum, should not be completely under seal. For example, we found entries where patents – a quintessentially public document – were filed as sealed exhibits. We have submitted a letter [PDF] to the Patent Office asking it to ensure that the public can see a docket entry for all filings before the PTAB. Courts have held that the public has a First Amendment right of access to adversarial administrative proceedings. These cases apply with special force to IPRs which, by determining patent validity, impact the entire public. We hope the PTAB can amend its system to ensure there are no more secret filings.